Typically seen within all, if not most video games, the technique of gamification has quickly developed from guiding a community of gamers through pre-planned game mechanics to allowing business’ to influence a community of consumers and increase consumer engagement and/or influence consumer behavior. 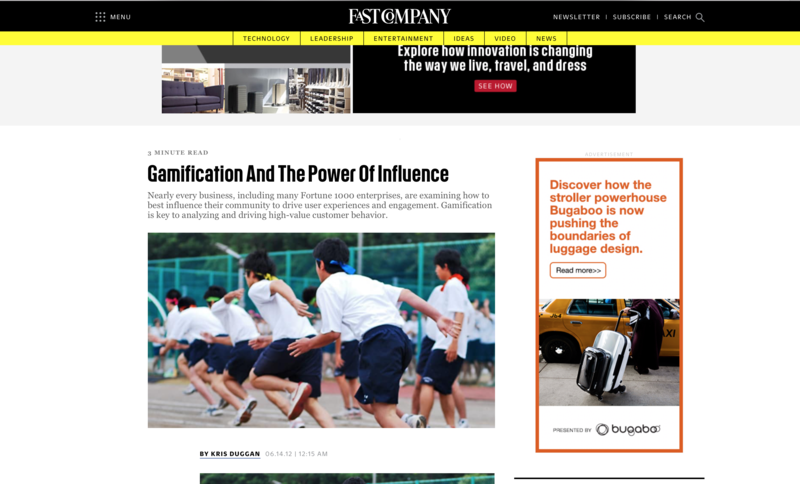 It’s purpose: to exceed your user-driven business objectives. Within this methodology, the use of gamification within business contributes its success to several factors. Even before gamification metrics are utilized, knowing your company’s goals or business objectives are key. Choosing behaviors and actions that align with these goals such as: buying a product and obtaining a code to register for sweepstakes, creates more revenue for a company while engaging the user to try their chance at winning a prize. A point of sale is made through a consumer want/desire. 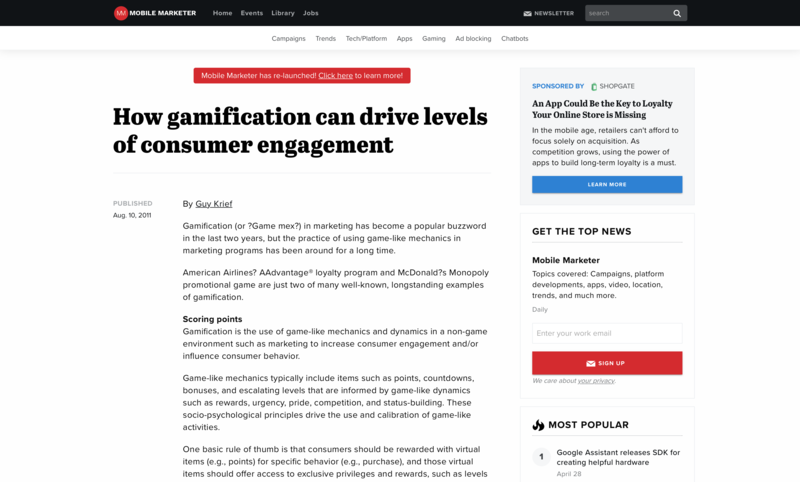 In addition, outlining clear communication between user and brand, creating adequate consumer profiling and closely tracking ROI based on these specific behaviors can also ensure better results with the use of gamification. With clear business objectives and a knowledge of your audience, gamification ultimately allows business’ to harness their power of influence among consumers. If a company knows how their users think and act, they can create an enjoyable experience and/or reward to help influence the success of their service/product. 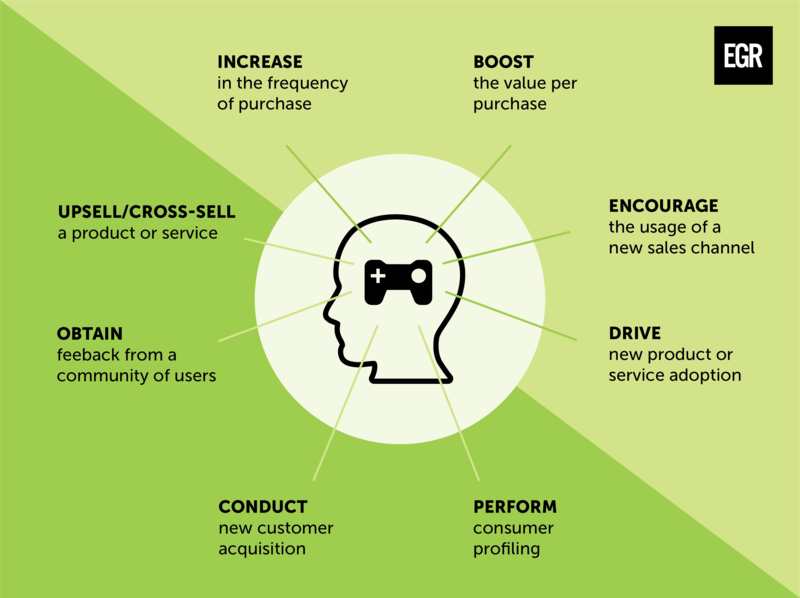 Understanding the psychology of consumers, gamification can also help create a following and generate larger conversion rates within how many consumers become engaged or participated how much or how often. If properly designed, gamification generates high conversion and participation rates that lead to a desired consumer behavior change within a business’ product or service. It creates a more memorable user experiences and influences the rate at which people are much more likely to engage in your company’s product or service.